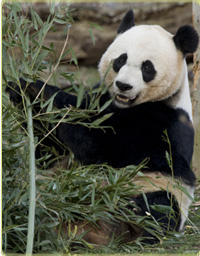 The Smithsonian’s National Zoo admission is FREE and the zoo is open every day of the year, except December 25. Every dollar you spend at the Zoo—for parking, food, and gifts—supports our education, research, and conservation efforts. Animal exhibits are open from 10 a.m. to 6 p.m. every day. Animal exhibits are open from 10 a.m. to 4:30 p.m. every day. This National Zoo is about 5-10 minutes via car or taxi from the hotel. You can get to the Zoo by public transportation and by car. Find out more. See a map and get driving directions. Parking at the Zoo is $10 for the first hour, $15 for two to three hours, and $20 for more than three hours. Please keep in mind, the National Zoo is one of the most popular destinations in Washington, DC. Spring break and summer are the most congested time for the National Zoo and the parking spaces fill up quickly so it is encouraged that guest take the Metro. Tour Bus parking is only available for and guaranteed for groups that book the Group Safari Package. Tour buses are not permitted to drop passengers on Connecticut Ave. This is illegal. To make a reservation for bus parking, call 202.633.4480. Parking during the school year is available most weekdays. On weekends and during the summer, bus parking is not available. Get resources for your field trip.